In an effort to increase member leadership opportunities, as well as diversity of expertise and perspective, the NASW-NYS Board of Directors' Program Committee is seeking volunteers to serve on a Program Proposal Review Team. This team will be responsible for reviewing all program proposals submitted to the Chapter for webinars and in-person programs. The team will review program proposals to ensure they comply with NYSED requirements, display best practice, and are in line with the Code of Ethics and NASW-NYS principles. Persons interested in serving on the Review Team should submit a Letter of Interest describing any area(s) of professional expertise and a CV or résumé to Marcia Schwartzman Levy, Chapter Board President, by December 14th, though applications will be reviewed on a rolling basis until the deadline. Licensed social work professionals are encouraged to apply. Team members should expect to spend up to five (5) hours per month reviewing programs. Programs will be referred to team members for review, based on need, areas of expertise, and other factors. Team members may also be asked to participate in conference calls with the Program Committee and Chapter staff. NASW-NYS will provide training for team members. Please include a Letter of Interest describing any area(s) of professional expertise and a CV or résumé as part of your application. Application deadline is Saturday, December 14, 2018. The NASW-NYS Program Committee is responsible for the development of state-wide program planning, and for the review, monitoring, and evaluation of all programs of the Chapter. The Committee has also been charged with identifying and making recommendations to the Board regarding local and statewide programming goals and objectives. 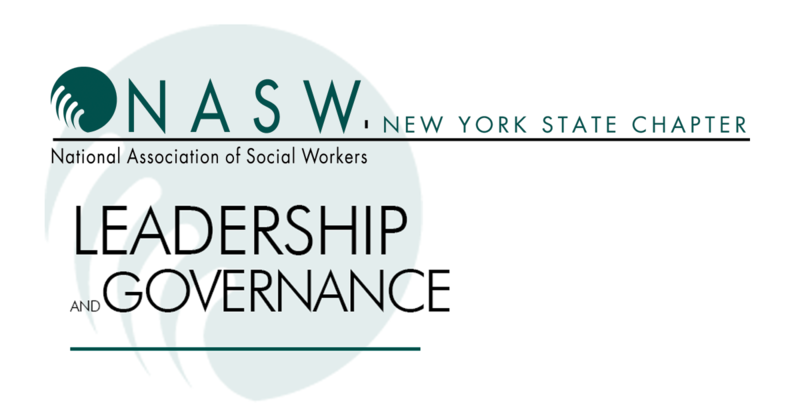 Visit the NASW-NYS Leadership & Governance page for more information on our Chapter's leadership.